continue to spend more than we take into the coffers of the State. about a deficit in the trillion dollar range as far as the eye can see. sustainable under any form of government." Tune in any financial forecaster anywhere in the world, and none of them are anything but pessimistic about the financial future of the world. Reading the Wall Street Journal, Investor's Business Daily or the Financial Times of London is like seeing Wall Street in New York and "The City" in London whenever Scripture mentions financial Babylon. 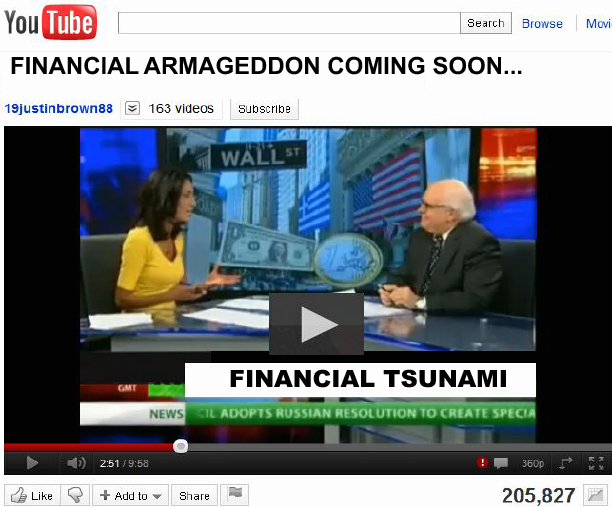 And none of the doomsayers in the financial papers are Bible-thumpers reminding us of the identical financial Armageddon scenario in Revelation 18:9-11, 15,17: "The kings of the earth who committed fornication and lived luxuriously with her will weep and lament for her, when they see the smoke of her burning, standing a distance for fear of her torment, saying 'Alas, alas, the great city [financial Babylon], that mighty city! For in one hour Your judgment has come.' And the merchants of the earth will weep and mourn over her, for no one buys their merchandise anymore...The merchants of these things, who became rich by her, will stand at a distance for fear of her torment, weeping and wailing...For in one hour such great riches came to nothing..." (Rev. 18:9-115, 17. NKJV). CNN reporter Rick Sanchez began the news report on Jan. 15, 2011as the Obama people assured America that all that was needed was another stimulusby saying, "I hate being the one who has to tell you this but, it's the truth. We as a nation are headed for an economic disaster." Sanchez' warning was correct as he continued, "This is a story you should not only watch but also make sure that the candidates who want your vote watch as well before they bury all of us." Obama is very good a speaking with a myriad of TelePrompTers surrounding him so he doesn't "flub" as he does 100% of the time when he tries impromptu speaking. But the problems facing America are due 100% to Barack Obamanot George W. Bush. The single George W. Bush stimulus, the Troubled Asset Relief Program [TARP], was legislated to do one thing and one thing onlybuy foreclosed subprime mortgages from the banks that were forced, by a Clinton law pushed by then State Senator and community organizer Barack Obama, to finance loans (to people who don't pay their bills) that should never have been approved. The purpose of TARP was to remove those properties from the banks' inventories in order to restore their liquidity and free up money so the financial institutions could resume loaning money to consumers and prevent the looming recession that was triggered by the subprime mortgage collapse. Two things thwarted Bush's legislative effort. First, the Fed changed the rules and forced the banks to reappraise the value of the mortgages they were holding as collateral from the appraised value of the property at the time of purchase to what the Fed believed was the depreciated value of the home based on too many foreclosed homes. Even if the Resolution Trust Company bought the foreclosed homes, they would have bought them at the depreciated price, leaving the banks with such a monetary shortfall that the Fed could have declared them "insolvent," and seized them (as they did in several instances), selling the assets of those banks to the super banks, making them even larger and more powerful. Second, the US Treasury did not purchase a single foreclosed home. Much of the TARP money would be used a year later by Obama to bail out General Motors and Chrysler. Obama used taxpayer dollars to squeeze out the lawful debt holders of GM and Chrysler, and make the labor unions the majority stakeholder in both companies. The first of two losers was the taxpayer whose money was stolen by Obama. Second were the employees of the auto industry whose honest representation was stolen byyou guessed itObama, who surrendered the lion's share of the stock to the UAW, making them the "boss" of GM and Chrysler while still allowing them to "represent" the union labor. What kind of deal do you think the union workers will get when GM and Chrysler bossesthe union leadersnegotiate the wages and benefits their membersthe union workerswill receive? Seven hundred eighty-nine million of TARP dollars and $700 billion of Emergency Economic Stabilization Act dollars were doled out to the nation's largest banks not so much to pay "employee bonuses" as it appeared from media reports that lambasted the world's largest hedge funds within thoe banks from using taxpayer money to pay hedge fund sales people commissions earned by short-selling the stocks in our 401K retirement funds and preventing us from retiring when we turned 65 or 70. The bulk of the money loaned to America's largest banks was used to bail out the largest banks in the third world that were about to collapse. Had that happened, it would have triggered a domino affect that would have toppled every central bank in the world, causing a financial tsunami that would have destroyed every monetary system in the world and brought about the economic Armageddon the world is still facing. Compounding the problems of finding the money to bring the third world from the dark ages into the industrial age in the 21st century when that money does not exist, is the more critical problem of financially supporting increasingly communist European political systems that have spent the last six decades creating caretaker governments that advocate population reduction through abortionand have succeeded to such a degree that there are no longer enough taxpayers in Europe to finance their public debt. Today, the same thing is happening in the United States. We need to stop spending money the world does not have to finance a welfare state the world cannot afford. While "Occupy Wall Street," "Occupy New York," "Occupy Washington, DC" and "Occupy Rut-in-the-Road USA" are blaming bankers for the austerity programs now taking place in every city in the world, it's time to lay the blame at the right doorsteps so that "Occupy" can occupy their minds with reality. More than the bankers, and more than the greedy princes of industry and barons of business are the politicians who enacted the laws to legalize their bribing them for the last 150 years, and calling those bribes "campaign contributions." The millions of dollars doled out to politicians have strings attached. Strings that are steel tethers tied to quid pro quos that demand repayment of the dollars funneled into campaign war chests. In other words, YOU and I repay the millions of dollars of campaign contributions that the princes of industry and the barons of banking and business use to bribe petty politicians in order to get billions of dollars of grants, loans and government contracts. Or, in the case of the public sector labor unions, pension plans that don't come back to haunt the taxpayers until long after the politicians who caved in to union demands for more of everything at the expense of everyone else, have died or retired on six-digit pensions themselves. In the second video George Soros warns that America may already be in Obama's dreaded double-dip recession (which Obama blames on Bush). 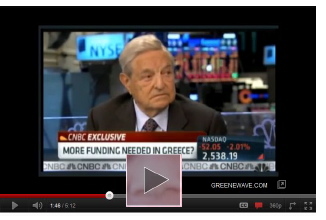 Soros believes two or three of the small, financially-strapped Eurozone countries (which include Belgium, Germany, Greece, Ireland, Italy, or Portugal will default, or pull out of the European Union, upsetting global financial harmony but, in Soros view, not impacting the Euro although most European banks are dumping the Euro for the dollar. Yet, because all of the central banks of the world are entwined, what impacts Europe impacts the markets in the United States. Here is the reality found in the third video: because all of the currencies of the world are so entwined, the financial crisis in Europe which has spilled over into the United States. That is due largely to Obama's spending penchant. Obama, like the Germans in 1924, believes you can spend your way out of an economic malaise simply by printing and spending more money. David Walker, the Comptroller General of the United States, has been warning America for four years that the United States is headed for an economic train wreck of catastrophic proportions for that very reason. 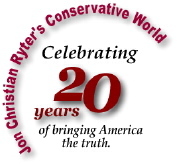 From Jan., 2007 until Jan., 2012, the far left has had monopolistic control over spending. 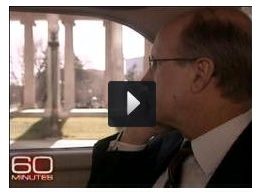 If you weren't paying attention on March 4, 2007, Walker appeared on a 60 Minutes segment and told us just that. Here's the reality behind what he said and what he did not say. First, you can't kill 67 million future US taxpayers through abortion and then be surprised when 45 million baby boomers retire and there are no taxpayers left to fund their Social Security benefits. Second, you can't send 28% of America's industries and 35% of America's jobs to the third world and expect to have enough workers drawing paychecks to keep the economy growing. Third, you can't open the back doors of the country and allow millions of illegal aliens slip across the border and let employers violate the the Federal Immigration and Nationality Act of 1952 which makes it a felony not only to hire an illegal, but to feed or house them. And, fourth, no society can survive when its laws make it legal to bribe politicians, and lets those politicians repay millions of dollars in bribes with quid pro quos that greatly enrich the donors. We have just about 12 months to undo 150 years of criminal graft and fiscal stupidity legislated by American politicians to enrich themselves and the donors who made them millionaires. We need to restore the citizen legislature created by the Founding Fathers. How do we do it? First, we have to fire every communist legislator in Congress (which is pretty much the entire Democratic Party)...and in all 50 States. We need to make it clear to politicians that they either vote to end the legal bribery or we will simply recall and remove them and find citizen legislators who will do it with a constitutional amendment. And, most of all, we need to stop spending money that "we the taxpayers" no longer possess. Our pockets are empty. We have too much government. We need to thin the fattened cow (or should we say asses and elephants) by reducing the size of both State and federal government by at least 70%. The fact that it will slow down government is a good thing. And, we need to reduce the wages paid to Congress to a basic per diem no greater than the average daily wage in Americaand pay them only for the days when they are on the floor of Congress doing the people's business, when the House and Senate is in session. And, any Congressman or Senator who tries to place an earmark in any legislation, needs to impeached and removed from office. If we fail to fix the problem (and not by giving more handouts to people who have discovered how to raid the people's piggy bank; or to those who think they are entitled to prosperity because those who invested their own sweat equity to achieve it, have it), David Walker's economic train wreck could happen before the mid-term election of 2014 and a totalitarian global government worse than that imagined in George Orwell's "1984" will be the world's lot before the election of 2016. And, when totalitarian world government comes, there will be no place left on Earth where those who cherish liberty can flee.